Hey everyone. Sorry I was incredibly late with the Neil Caudle news last night. The Advertiser needs me to cover high school games, or take call-ins, because that's the reality of our staffing situation. You're probably dealing with similar issues at your workplace. This is The Last Saturday Before Football Season, which is cool. We'll soon have more substance to our analysis. Being able to see players play makes for better stories. Or maybe not. Jan Terri didn't have to see goblins to perform the best Halloween song of all time. In case you were wondering, it's "Get Down Goblin." Not much going on today. Auburn is off. I am "off" (though I am writing a story for Sunday's editions) and planning to enjoy my final "free" Saturday for a while. Farmer's Market, here we come. Sun., Aug. 30, 6 p.m.
Wed., Sept. 2, 4:30 p.m. Thu., Sept. 3, 4:30 p.m.
Hey everyone. I'm the last Auburn beat writer to publish this information, but I have an alibi. I was covering Montgomery Academy's 14-9 win over Catholic tonight. So it goes. Anyway, junior Neil Caudle has been named Auburn's top reserve quarterback. I know many of you are surprised. us the best chance to win." Auburn is off on Saturday. I hope you are as well. Calvin Jackson, a native of Ft. Lauderdale, Fla., was a standout cornerback for Auburn 1992 and 1993. He was named All-SEC during his final season. No Hottie will ever forget his 96-yard, momentum-changing interception return against the Gators in 1993. What would have been a 17-0 deficit became a much more manageable 10-7 deficit and lit the fire the Tigers needed to torch the Gators 38-35. That game was serious excitement. So what did the PICK SIX look like from my seat? I have no idea. Disgusted at the thought of the Gators scoring yet again, I went to get THTJr the hot dog he had requested much earlier. The deafening roar that arose left little doubt what had happened. When I returned with the dogs & drinks, my next major decision: Do I sit and watch the game or do I go back to the concourse so Auburn can score again? Thankfully, my position had no bearing on the outcome and I was able to watch one of the most thrilling victories ever at Jordan-Hare. Mr. Jackson's return is the second-longest in school history. The longest was in Digger's and IV's childhood days when John Liptak had a 98-yard INT return against Georgia. * Cooper Wallace: Nashville, Tenn.; TE 2002-05. * Shayne Wasden: Selma, Ala.; WR 1988-90; ACADEMIC ALL-SEC in 1990. * Stanford Simmons: Ashland, Ala.; FS 1999-01. * Jerry Beasley: Montgomery, Ala.; CB 1977-80; yes, Terry's brother. * Chris Knapp: Americus, Ga.; PK 1985-87; leading scorer in 1986; ranks 6th in career PAT pct (62/63). * Jerraud "Jerrard" Powers: Decatur, Ala., CB 2005-08. Very good player. Hey everyone. For me, Thursday was the last day of the preseason. Since I won't be attending practice tonight (reason explained below), Sunday's workout will be my next appearance. That's Game Week. I'm am delighted to soon be back in the habit of actually watching the team I cover. Should be a good time. The HABOTN has been seeing an uptick in traffic of late. Of course, I'm very proud of everything we have accomplished here. We are especially thankful for the new posters who have signed on for this football season. Without new HOTTIES, we're just old HOTTIES. Though Auburn is practicing this afternoon, I will not be in attendance. I will be spending my evening covering the epic Montgomery Academy-Catholic game in East Vaughngomery. It's a showdown like no other ... on that field at that time. The upside: I'll still have a story in Saturday's newspaper. It's an above-average piece about Chris Todd. I have an idea for afternoon chatter, but it's still fermenting in my brain. We'll see what happens. Fri., Aug. 28, 4:20 p.m.
Hey everyone. I will be doing my weekly segment on SuperSport 930 in Jackson, Miss., in just a few short minutes. That extravaganza will begin around 9:05 a.m.
WR Montez Billings will miss the first four games of the 2009 season due to an academic issue. ``This is unfortunate for Montez, but we’ve exhausted all avenues to get him on the field as soon as possible,” said Rich McGlynn, Auburn's director of NCAA compliance. ``While we don’t necessarily agree with the NCAA’s ruling, we have to respect and abide by their decision." Billings graduated in May with a degree in public administration. Hey everyone. I'll add pics in a few minutes. QB Neil Caudle worked an 11-on-11 drill during the early stages of practice. He was playing with an assortment of first- and second-team guys, so I didn't take his presence as a major development or anything. The same drill featured Dontae Aycock as the "4" (primary back). LB Eltoro Freeman was back on the exercise bike today with a cast on his right wrist again. I guess he's had a setback. Trooper Taylor made me laugh. Montez Billings was slow to track a punt, which prompted Taylor to say: "I'm demoting you to scout team." Billings, of course, already is on the scout team. LB Spencer Pybus was out there, but he clearly isn't ready for work. He wasn't wearing pads. He wasn't on or headed for Muscle Beach. I'm not sure what he was doing. 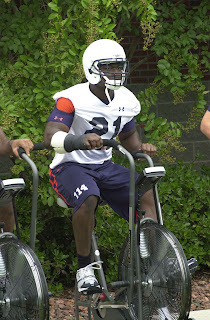 S Mike McNeil was on the exercise bike. That's the first time I've seen him do anything remotely physical since March. WR Tim Hawthorne was working the JUGS machine. I don't mean he was catching passes. He was loading balls into the machine. He wasn't wearing his boot, though. I'm not sure what's up with him. Eltoro Freeman on the bike. Note cast on right wrist. Here's Kodi Burns lookin' it in. Onterio McCalebb chatting it up before practice with Neiko Thorpe and Mario Fannin. Ted Roof taking time to teach even when his players are stretching. Here's Tim Hawthorne working the JUGS machine. Here's DeAngelo Benton stretching before practice. He was the only wideout carrying a ball at that point. I'm guessing that's for earlier transgressions. Hey everyone. Here are two items of interest. They didn't deserve a full blog on their own, but together they deserve more than a mention in the comments. BB&T Corporation (NYSE: BBT) announced today it will become the retail banking partner in three Auburn University athletic venues, including Jordan-Hare Stadium, through an agreement with the Auburn ISP Sports Network. It is the first major sports marketing agreement for BB&T in Alabama. B.) The Southeastern Conference has issued its "final" credential policy for the 2009 season. It includes changes that my parent company, Gannett, considers positive. Those changes include additional flexibility in internet news coverage, uses of photographic images and clarification in the provisions of blogging. I am now cleared to accept credentials and cover games. This is good. Tommie Powell: A native of Greenville, Ala., who lettered in 1983-86 and made First Team ALL-SEC Free Safety in 1985. He also led the Tigers that year with six interceptions. His biggest game was a three-interception effort in the 1985 blowout loss in Knoxville. Tristan Davis: An East Point, Ga., native who changed positions more often than jersey numbers. He played safety, kick returner, running back, and probably five other positions I don't recall. Tristan was a huge fan favorite who exploded onto the Auburn scene in 2005 with a 162-yard rushing game (on just 8 carries) against the Kentucky Wildcats. His career 27-yard average on kickoff returns (min. 25 returns) is an Auburn record. He had a approximately 97 yard kickoff return against Arkansas which I think was negated by non-contributory penalty. Unfortunately, his full football potential was never realized at Auburn due to repeated injuries. * Roger Pruett: Place kicker and punter who lettered in 1971-73. The first two years he backed up Gardner Jett and David Beverly at those positions. He earned his 15 minutes of fame as the team's leading punter and scorer in 1973, piling up 17 PATs and 4 FGs as part of an offensive jugger...NOT! * Anthony Mix: Bay Minette native who sometimes played wideout, sometimes played tight end and occasionally returned kicks. Mix had a great play in the 2004 game at Mississippi State; he broke free from a standing room only crowd of defenders and then outran all of them to the end zone for a 58-yard score. You can read about his high school and early Auburn exploits here and pro efforts/alleged misdeeds here. * Ken Alvis: Demopolis native and free safety who had two PICK SIXES in 1994 as a redshirt freshman. He also made the first of Auburn's five fourth-quarter picks against LSU in 1994. BTW, what is it about LSU and their doofus play calling? Auburn's offense was absolutely pitiful in that game, gaining only one first down in the second half and scoring only three points the entire game. But Auburn's defense outscored the LSU offense 27-26 on that bizarre day. 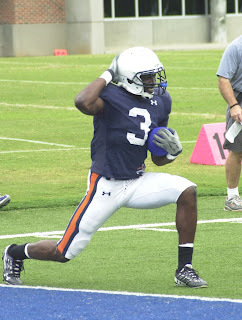 Alvis played only year at Auburn. Hey everyone. It was an eventful ride home last night. Hit a gnarly thunderstorm at Exit 42 and I couldn't crack 50 mph until I hit Mitylene (Exit 11). Good times. I've never seen so much lightning in my life. My Maxima laughed at the weather, though. Tough car. Also want to say thanks to Ms. Bradley's class at Montgomery Catholic High for having me Wednesday morning. I enjoyed being interviewed for a change. I was disappointed to see no gals in the class, though. What up with that? Auburn has not confirmed what time practice starts today. I'm assuming it's 4:20 in the afternoon. It will be partially open to the media, which is good for you because I can get you a peek at the INNER WORKINGS of the team's most basic drills. Maybe they'll run some 11-on-11s for us again today. Either way, this is the final open practice of the season. Hey everyone. We'll do this in two stages. Craig Stevens said he's been impressed with how LB Adam Herring has been playing. The sophomore participated in a full practice Tuesday for the first time since November. Tyrik Rollison was back at practice today. 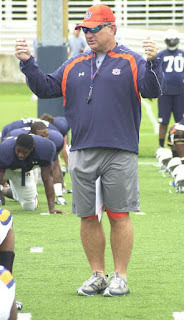 Gus Malzahn is refusing to discuss who all is working at that "3" position that Mario Fannin allegedly owns. "We've got three or four other guys that will be in that role. And it goes back to what they do best. And really, I don't want to be real specific because that will have a lot to do with what role they play in certain situations." Ted Rüf, aka Roof, said he's been impressed with walk-on LB Wade Christopher. ``He's a guy that always knows what to do and he's always available and always willing. You ask, 'Can you do this?' He says, 'Yeah coach I got it, I know what to do.' As a coach, you have a lot of confidence and respect kids like that." Stevens on TB Onterio McCalebb: ``It's hard trying to catch him but once you get him, you know he don't feel you because he's light. The problem is just catching him. If you catch him, you'll put something on him." Ted Roof on being physical vs. not getting injured: ``I think we've struck a pretty good balance, but we're not where we need to be yet from that standpoint. We're a work in progress there and that's something we have to continue to work on. And that's certainly a point of emphasis." Roof said he has the defensive depth chart 91.3% finished. ``Things clear up, but there's different situations that come and go by packages. You don't want to ever have people feel like they don't have a chance to compete and earn playing time. We look at all the tape from all the kids, whether they're scouts or whoever, so that's something we keep a beat on." 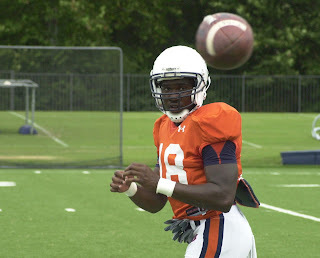 Big Snacks Berry on Auburn's 2009 offense vs. its 2008 offense: ``It's more of a run offense. We're still running a fast tempo. Last year, we started off throwing the ball. Now we're straight down running the ball and then we'll take some shots (deep) on you." 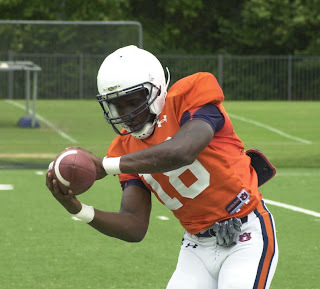 Malzahn on Onterio McCalebb: ``He can be a one-play drive type guy if we can get him in the right situation." Hey everyone. Upon arrival at Auburn moments ago, I received word that former Auburn quarterback Randy Campbell has been selected to serve on the Board of Trustees. He will represent District Six, which includes Birmingham. He is replacing Paul Spina. Campbell is president of Campbell Financial Partners and Harlan Partners, both in Birmingham. 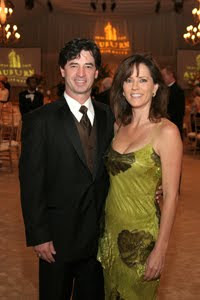 He graduated from Auburn in 1984 with a degree in industrial management. Bob Riley, president pro tem of the Auburn Board, will send the selection to the Alabama Senate. Trustee nominees require senate confirmation. HAPPY "ALL FORMER AU #10s" DAY!!! * Jon Kilgore: from Atlanta; AU Media Guide lists him as an End 1962-64, but he apparently practiced the art of punting during his five-year NFL career with the Rams, Bears, and 49ers. He's front left in the 1963 team photo, sitting right next to #11, LB Bill Cody. * Tommy Traylor: A GUMPIAN!!! During Tommy's sophomore year, he was backup QB to senior Loran Carter. Tommy played a very important role in Auburn's big Sun Bowl win over Arizona in 1968. During his junior and senior seasons, Tommy was backup QB to Pat Sullivan. * Clyde Baumgartner - Clyde B. and Chris Vacarella (see yesterday) may have been twin sons of different mothers. Both were from Birmingham. Both were backup QBs. Both lettered in '74-76 (Chris also in '73). Both made their greatest contributions at another position. While Chris was catching passes, Baumgartner was achieving ALL-SEC First Team honor as a punter in 1975. * Pat Washington: (Pictured at right) Mobile native and non-wishbone style QB starter in 1984-85. He started a successful coaching career shortly after graduation. He's had gigs at Auburn, SW Louisiana (now UL-Lafayette), TCU, Baylor, Tennessee (on Fulmer's staff for 11 years), Kansas State, Mississippi State (Sylvester Croom's staff), and currently at Southern Miss. * James Joseph: Phenix City native played FB for Auburn in 1986, '87-'90. He then had a five-year NFL career with the Eagles and Bengals. James earned his Auburn degree in 1997 and entered the coaching profession. He's had gigs at Auburn High and Troy. He is currently RB coach at the University of Memphis. * Patrick Nix - Rainbow City, AL, native started at QB in 1994 and 1995. Famous moments include: The run-in-off-the-bench-and-throw-a-4th-and-15-TD-bomb-to-Frank-Sanders play in the 1993 Iron Bowl after starting QB Stan White was knocked from the game on a vicious hit. That was the turning point in Auburn's great comeback victory over the Tide. He has also earned several coaching gigs. Nix was Academic All-SEC in 1994. * Rodney Crayton: Cornerback from Dadeville who suited up for the Tigers in 1996, '98-'00. Rodney led the team with 5 interceptions in 2000, earning the respect of the league's coaches. They voted Crayton to the all-conference team. My favorite AU #10? I think it's a toss up between Traylor and Joseph. 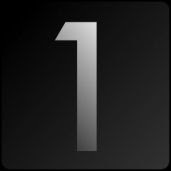 for some 10 shout outs!!! Hey everyone. It's another warm, sunny day in the Gump. That makes it a lot like yesterday, the day before that, the week before that. My lawn is browning. That isn't an issue at Auburn, where the main practice field is made of plastic and recycled rubber. I'll be spending part of my morning at Catholic High talking with students about journalism. I'll walk a fine line between warning them to avoid this business at all costs and imploring them to give news a try. I don't know what advice I'd give a youngster pondering a career in journalism. I guess I'd ask: How badly do you want it? We could make a song about that. As an Auburn aside, what is the deal with Montez Billings? He hasn't helped us understand what's going on with him. The Head Coach says the issue is out of his hands. Billings is an Auburn graduate. I don't get it. Auburn practices again today at 4:20 p.m. There will be no media access. I'll be providing a post-practice roundup and, perhaps, a video after that. I'll have to play that one by ear. Or eyes. I'll let you know as the day unfolds. 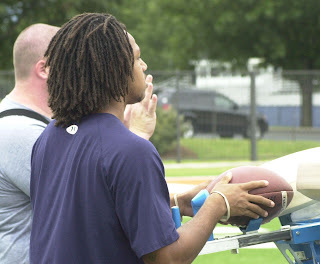 Wed., Aug. 26, 4:20 p.m.
QB Tyrik Rollison is out with the flu ... or at least flu-like symptoms. This is an issue in and around Auburn. Newcomers who worked with the first-team offense or defense Tuesday: John Sullen (RG), Nick Fairley (SDE) and Daren Bates (S). Gene Chizik said WR Montez Billings' situation is not in his hands. Tommy Trott, asked if the team has a new curfew in place, said Chizik instructed players to let him (Chizik) all questions about curfews. Though seemingly all offensive skill guys are "cross-training" at different positions, Ben Tate isn't. He's a "4" (primary tailback) and that's how it is. The senior said he knows all the positions, though, and could play "3" (utility back) if needed. Kodi Burns said he won't be taking off the orange (no contact) jersey any time soon. ``I'm still a quarterback," he said. Hey everyone. I just came in from a 20-minute viewing of Auburn practice. I'll get video up ASAP. LB Eltoro Freeman's wrist cast is off. His wrists were taped, but he seemed fine. I saw him receiving treatment (stretching) on his left hamstring. Poor Philip Pierre-Louis doesn't have his name on his jersey. We were able to watch some 11-on-11s for the first time since April. Harry Adams intercepted a pass thrown by ... take a guess. (Hint: His last name rhymes with "dawdle") To be fair, the wideout, Travante Stallworth, had a good chance to catch the pass. QB Tyrik Rollison wasn't at practice. That probably means nothing, but it's worth noting. Wow. There's way too much talent for this day, so let's get started. Just remember the rule... Academics come first. HAPPY WILLIAM EUGENE CODY AND TRAVIS TIDWELL DAY!!! Bill Cody was born in Greenwood, Miss., and arrived at Auburn via Orlando, Fla. He was one of Auburn's most outstanding linebackers. "Wild Bill" was a unanimous selection to the 1963 All-SEC Sophomore Team. He was first team All-SEC linebacker as a junior, and again as a senior. He was also first-team ALL-AMERICAN as a senior in 1965. Similarly, the Education major achieved Academic All-SEC honors in 1964 and 1965, and ACADEMIC ALL-AMERICAN in 1965. On October 30, 1965, the 7th ranked Florida Gators entered Cliff Hare Stadium with junior QB Steve Spurrier at the helm. Auburn fell behind 10-0 at the half, not earning a first down until less then 3 minutes to go in the half. I'm sure Coach Jordan had some encouraging words for his team in the halftime locker room. The Tigers, behind the leadership of second string QB Alex Bowden, quickly matriculated down the field for a TD early in the 3rd quarter. On Florida's first play from scrimmage after the kickoff, Bill Cody graciously accepted a Spurrier pass and returned it 29 yards for a score. In the 4th quarter, the Auburn defense pressured Spurrier into surrendering the ball, and All-American Cody pounced on it in the end zone for another TD. The Tigers ate the Gators up that day, 28-17. After completing his Auburn education, Bill Cody was drafted in the fifth round by the Detroit Lions. After one year in the Motor City, he was selected by the New Orleans Saints in their expansion draft. He spent 4 seasons in N'awlins. He didn't play in 1971, but apparently was acquired by the Minnesota Vikings. Records show he was traded from the Vikings to the Eagles prior to the 1972 season for the Eagles' 1973 10th round draft pick; Cody spent his final pro year in Philadelphia. I know he spoke last year at an Auburn Club meeting that also featured Coaches Tuberville, Rhoads, and Franklin. Otherwise, I'll have to rely on the Hotties to fill us in on Mr Cody's current whereabouts and activities. * Travis Tidwell: Born 2/5/1925 in Florence, AL, Travis Tidwell is one of only two freshmen to ever lead the nation in total offense, earning that honor in 1946. He also led the nation in total offense as a senior in 1949 and was Auburn's career total offense leader until Pat Sullivan established a new standard. As a quarterback in the T-formation, Tidwell engineered the Tigers to an Iron Bowl win over the heavily favored Tide in 1949 by the score of 14-13. He was a first round draft choice of the NY Giants. In his 1950 rookie season, he entered a game with the Giants trailing the Baltimore Colts 20-0. Mr. Tidwell led the Giants to a remarkable 55-20 comeback win. He spent two seasons in NY, then played in the CFL, coached at Auburn, and later sold insurance and stocks and securities. Travis Tidwell was the first Auburn player to be named Senior Bowl MVP. He also played centerfield on the Auburn baseball team which also featured 4-sport star Erk Russell as first baseman. In the 1949 game vs Mississippi State, Tidwell ran over a DT by the name of Jerry Clower, dragging him 27 yards and rendering him unconscious, all the while reportedly running backwards. You can listen to Jerry Clower's version of the story starting at the 5:50 mark of this recording. * Karlos Dansby: All-American linebacker in 2003 and two time All-SEC, Dansby was a finalist for the Butkus Award and was named the Atlanta Touchdown Club Defensive Back of the Year. He was the field general of Defensive Coordinator Gene Chizik's 2003 Tiger defense which ranked 5th in the country in total defense. Mr. Dansby is currently a NFL star with the Arizona Cardinals. He began his Auburn career as a wideout. 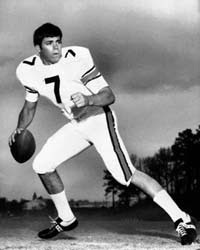 * Phil Gargis: Outstanding veer option QB who led Auburn in rushing and in total offense in 1975 and 1976. He had a fantastic game vs UGA in Auburn in 1974, one of many memorable trips I took with THTSr to watch the Tigers play. I think Gargis had 160 yards rushing that day in Auburn's nail-biter 17-13 win. * Stan White: Four-year starter and Auburn's all-time career leader in total offense and passing yards. Stan also earned Academic All-SEC honors in 1993. * Mac Champion: Earned a letter and a national championship as backup QB in 1957. Later became a Hall of Fame high-school coach. I'd be remiss without reminding you that the Advertiser's first sports magazine, titled "Coaches Confidential" is available online and at the Advertiser office. UPDATE: We still are in negotiations with Books-A-Million. As of today, this magazine is not for sale at retail. Included in that publication is an extremely long story about Gene Chizik, Jonna Chizik, their relationship and their views on how to revitalize a football program. Please buy one if you can. It costs $5.95 US. Hey everyone. Big news yesterday. My parent company, Gannett, has joined forces with the Associated Press to rebuke the SEC's "revised" credential policy. In short, all Gannett and AP employees have been instructed to not accept credentials over disagreements with the restrictions placed on the use of said credentials. I'm 99.9% sure this will be rectified before Sept. 5. Still, it's possible we'll encounter turbulence. The SEC doesn't want me live blogging from the games. 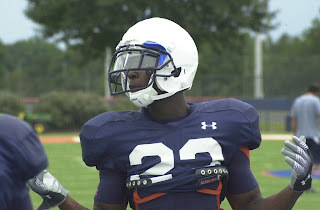 Auburn returns to practice today for a 4:20 p.m. soiree. It is partially open to the media, which means I may be able to shoot video. My company would prefer that I miss the open practice and instead attend a training to help me avoid slips/falls at work. 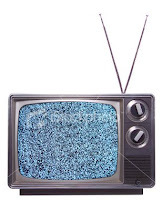 My ability to produce a video hinges on my ability (or inability) to avoid that training. Regardless of how that situation unfolds, I'll have comprehensive post-practice notes for you. If I don't do a practice video, I'll do an interview video. I'd hate to see you wither without Auburn video.